Larry Fedora is the head football coach at the University of North Carolina and he had a few interesting things to say at ACC football media days this week. Fedora believes that if football declines in the United States — due to links between playing the game and CTE, a chronic and debilitating brain disease — the country will decline as well. “There will be the decline of our country, no doubt,” Fedora said. First of all Coach Fedora, only a small minority of primarily one gender actually plays football in this country. Is that small minority responsible for making this country great? Two, while there definitely can be some positive benefits from playing football (physical fitness, leadership skills, teamwork, dealing with adversity, etc. ), all those benefits can be derived from playing other sports, or participating in a variety of other activities for that matter. 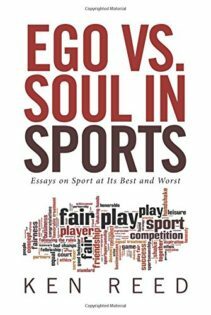 One doesn’t need to bash one’s head in hundreds — and in some cases, thousands — of times a year, as is the case in football, to reap those benefits. Third, Americans are predominantly sports spectators, not sports participants. Does Fedora believe we as Americans can learn important life lessons by simply plopping down on the couch on Saturday or Sunday and watching football games while eating pizza and drinking beer? Fedora touched on a few other topics that are worth addressing. For example, he thinks the United States has a strong and powerful military thanks to football. His reasoning is that a general once told him that we are the only football-playing nation in the world (sorry Canada). Powerful military. Only football-playing country. Well, that surely must be a causal relationship, right? But what about the fact that football has only been our major sport for 50 years, at the most? Before that, baseball was our clear national pastime and smart people like Jacques Barzun said that to know America you must understand baseball. In addition, we’ve had a tough and strong military during a lot of wars throughout our history, from the Revolutionary War on, and football wasn’t a big part of our culture during most of them. The above comments by Fedora, and others like them, are pretty benign. I figure it’s just a football coach being a football coach. But when Fedora started talking about CTE and football at the ACC meetings, that’s when things got scary. Fedora’s not sure football causes CTE. He says there’s no definitive proof. Well, technically, he’s right on that point. There isn’t any definitive, absolute proof that football causes CTE, and all the devastating effects associated with the disease. But there certainly is a giant mound of research suggesting a strong link between football and CTE. First, CTE is a degenerative brain disease predominantly found in people who’ve experienced repetitive head trauma. Second, and maybe most importantly, it’s not just concussions that we need to worry about when it comes to CTE and lifetime brain damage. It’s sub-concussive repetitive blows to the head in which the brain pounds into the side of the skull. A perfect example, is the repetitive sub-concussive blows to the head that football linemen experience on nearly every play. Most people associate CTE with the NFL — specifically retired NFL players. But CTE is more than a pro football issue. While the Boston University CTE Center has discovered CTE in the brains of 110 of 111 former NFL players (99%), the Center has also found CTE in the brains of 48 of 53 former college players (91%) who didn’t go on to play football in the NFL. Moreover, 21% of the 14 brains of former high school football players studied at the Center had evidence of CTE. And those players never played a single down of football beyond high school. A summary of all the studies now linking football with brain injuries would be a very long summary indeed. The question is: Even without definitive, absolute proof that football can cause CTE, should youth and high school athletes be playing football, a game in which repetitive brain trauma is inherent in the sport? Especially when the brains of youth, high school, and yes, even college football players are still in the developmental stage (the human brain is still developing into the early 20’s)? Before jumping to a quick answer on that question, consider this finding: Purdue University researchers have compared changes in the brains of high school football players who had suffered concussions with the brains of high school football players who were concussion-free and found brain tissue damage in both. That’s scary stuff. That means brain injuries are occurring without players, coaches or parents even being aware of it. Wake Forest researchers followed 25 boys ages 8 through 13 over a season of tackle football. They placed sensors inside the players’ helmets to measure impacts. Players accumulated between 250 to 580 “crashes” during the season. The MRIs of the kids’ brains taken before and after the season showed that those “who experienced more cumulative head impact exposure had more changes in brain white matter.” The stunning part is not one player had suffered a concussion. Brain damage had occurred without any concussions in the group. And, like the Purdue study, the players and the parents weren’t even aware of it. No, we don’t have all the scientific evidence yet to absolutely state that football causes CTE but we do have enough to believe that playing football is one scary game of Russian Roulette. Fedora did suggest that kids shouldn’t play football until after middle school. That’s good. But due in large part to the fact their brains are still developing, football remains very dangerous for high school and college players as well. Football is a fun and entertaining game. I played the game in my younger days and have long enjoyed watching it. I appreciate that coaches like Fedora — along with thousands, if not millions, of fans are passionate about the game. But there are some realities in life that just aren’t fun to face, and this is one of them: Football is very dangerous to the human brain. For the sake of our young people, we can’t continue to avoid that reality. 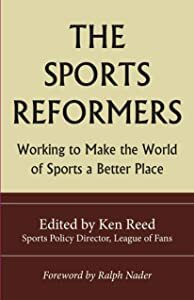 Ken Reed is sports policy director for League of Fans, a sports reform project. He is the author of Ego vs. 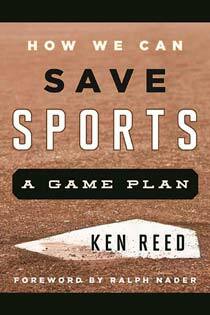 Soul in Sports and How We Can Save Sports: A Game Plan.